The Sunday bird walk went to Buttertubs Marsh in Nanaimo. The morning was mostly sunny with calm winds. One Trumpeter Swan flew high over head. We saw one Canada Goose on the marsh. 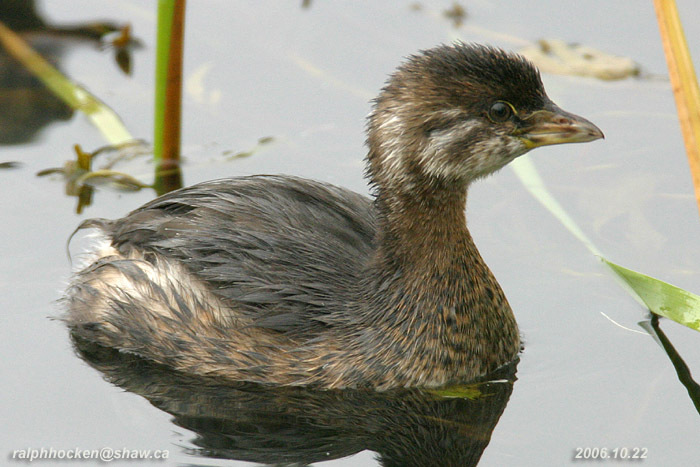 Two Pied-billed Grebe, and three Hooded Mergansers were also on the marsh. We spotted three Downy Woodpeckers feeding on the tall trees. A Golden-crowned Sparrow, a Fox Sparrow, several Pine Siskins and American Goldfinch were seen just off the trail. 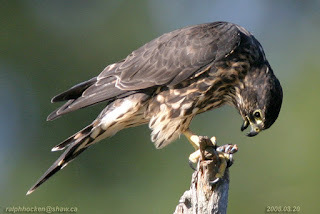 A Merlin was perched at the top of a very tall tree, preening itself. Pied-billed Grebe: Ralph Hocken Photo. Over sixty Common Redpolls were seen in the Alders near the parking lot at Neck Point Park in Nanaimo. A flock of thirty Evening Grosbeaks were seen at the end of Lowery’s Road near the Little Qualicum Cheese works in Qualicum Beach. An American Kestrel was spotted along Cameron Road near the Nanaimo Airport in south Nanaimo. The Sunday walk on December 17, 2017 will be going to Rathtrevor Provincial Park in Parksville, depending on the weather. 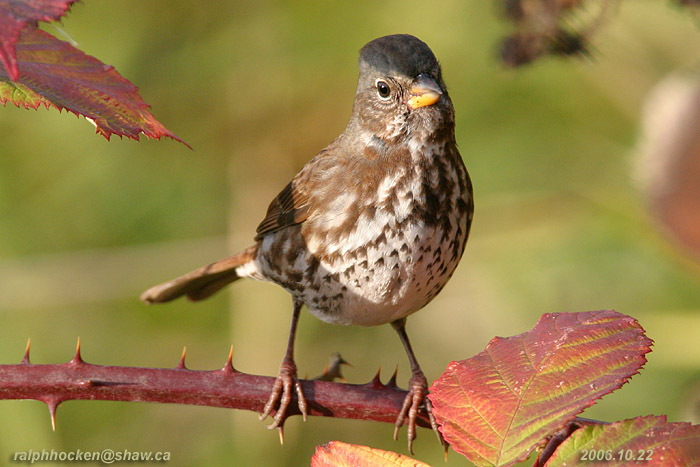 Meet at the bird store at 9:00 a.m. or at main parking at Rathtrevor Park off highway 19a, at about 9:30 a.m.